CSI: Miami - 7x23 - "Collateral Damage" . . Wallpaper and background images in the CSI: Miami club tagged: csi: miami season 7 episode 23 promotional photo collateral damage. 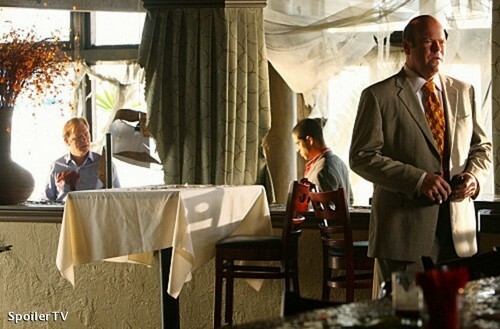 This CSI: Miami photo might contain brasserie, bistro, and business suit.